Advanced Poker HUD that will help you to print money! Full of advanced stats. Play your opponents, read your opponents and crush your opponents with this HUD! Do you want to increase your win rate? Do you want to know how to play in every spot? Do you want to see mistakes of your opponents? And to learn to exploit them based on these mistakes? If yes, then this HUD is for you! This poker HUD will allow you to see and exploit biggest mistakes of your opponents very quickly. The color coding system lets you spot your opponent mistakes in a glance and to adopt your strategy. 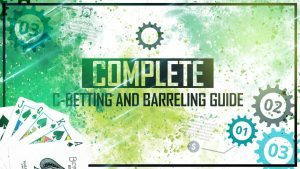 Moreover, you will have many popups designed to highlight areas where players make the most mistakes such as how they play versus missed C-bet, how much they fold when they decide not to C-bet and much more. In addition to this, a lot of stats shows you difference how your opponent plays in general and how he plays specifically versus you so you will know how to exploit that as well. You will get standard stats such as how much he is 3-betting from different positions and how much he is folding to 3-bets facing raises from different positions and everything in this super powerful poker HUD. If you want to take you game to the next level, learn to play better poker and exploit your opponents this is a must have. It took me more than 100 hours to build this and now you can have this advanced poker HUD in your arsenal and start winning today! Does this work for HM2 and for PT4 as well? This HUD is designed to work specifically with HM2 and can’t be used with PT4. HM2 program is more powerful and has features as vsHero stats that enables to use much more powerful stats. If you do not have this program you can get free trial and try it here! Will I know how to install it? You just need to import it into HM2. With your HUD file you will get a video as well where I will explain step by step how to do it and start using this HUD immediately. Yes, this HUD customizable, if you want to add or remove any stat or change a color you will be able to do that very easily. But unless you really need something very specific your best bet is to leave it as it is. Is it good for multi tabling? Yes, this HUD is very good for that. Because of its color coding, you can spot areas where you opponent is making mistakes at one glance and you can start punishing him for that. I don’t know how I was playing without it before! I can easily identify my opponents mistakes with this hud and always know how to play vs them. Having this hud alone will change your game and most importantly increase your win rate. And I thought my HUD was good before trying this one. If I could change something I would buy it much sooner.